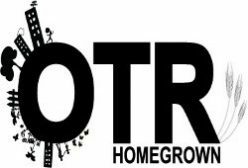 OTR Homegrown is an organic urban farm, which cultivates ecological stewardship and social welfare through sustainable practice. OTR Homegrown works to provide local access to healthy, local foods for the Greater Cincinnati area. It is our mission to provide education on healthy, sustainable living through community involvement and investment, strengthen the community through partnership, and foster good citizenship and inter-group tolerance. There is a little nature preserve in the middle of Avon Woods ; growing up in St. Bernard whole groups of us would walk up Rose Hill, “up to where the mansions are”. When you get up there far enough there is a steep hill in the road that you would only go up if you knew that just off the sidewalk there is a stairwell that leads down into Avon Woods and connects to the nature preserve. A beautiful stair case goes down the creek slope wooded hill. One which would be too muddy to climb down for not the poured concrete stairwell. Next Next post: Organic Weed Killer: Does It Exist?